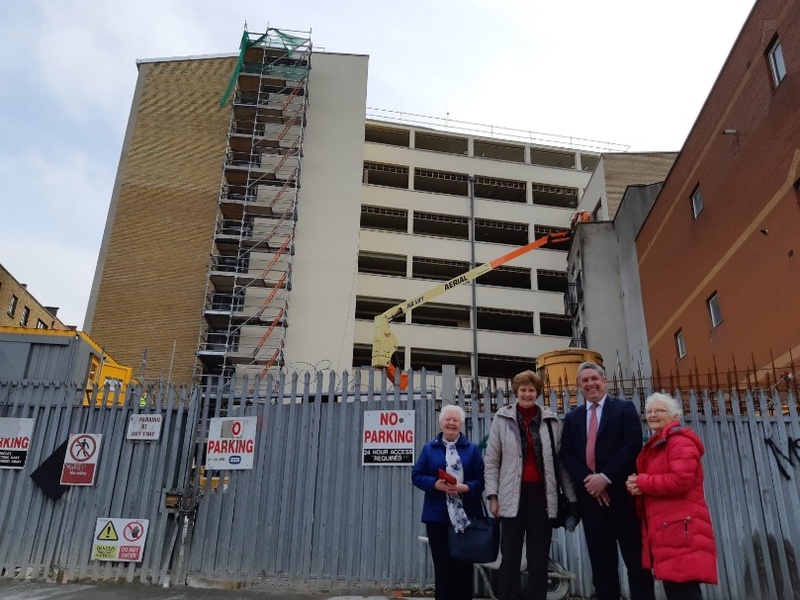 A number of Brigidine Sisters recently visited the newest project to combat homelessness in Dublin. This project is based at John‘s Lane, West Dublin 8. There they found an impressive eight storey building which is almost ready for occupation by needy persons and families. In time it will provide a permanent home for thirty-one families! During the visit, Focus Ireland CEO Pat and Fundraiser Amy gave the sisters an account of some of the on-going work of Focus in the Dublin 8 area. Brigidines are proud to be one of the supporters of Focus Ireland in this venture.It is amazing work indeed! Home Focus Ireland, Challenging Homelessness, Changing Lives.